Why do Manufacturers Need CRM and ERP Integration? Too many manufacturing organizations are operating ERP and CRM enterprise software separately. Usually, this is because they don’t realize the revenue and possible growth they’re missing by refusing to pay out the short-term investment needed to connect the two. 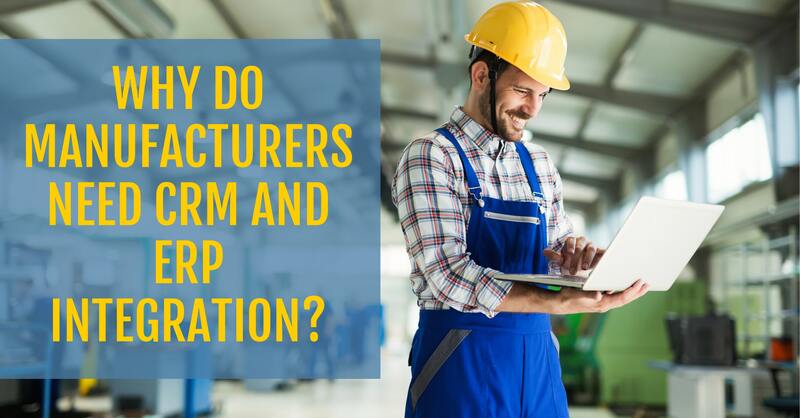 In fact, the initial cost of committing to an ERP and CRM integration for manufacturing operations pales in comparison to the benefits of interconnecting your enterprise platforms—it’s practically a necessity. 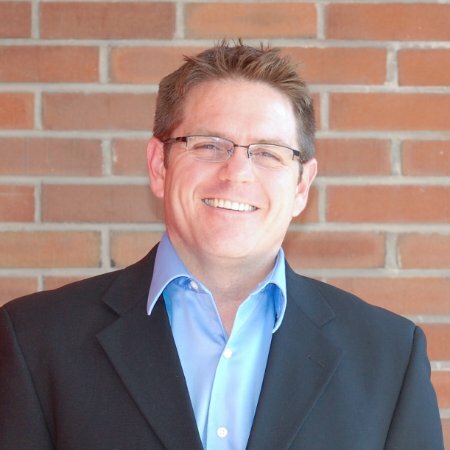 Here are five signs that you are overdue for a CRM and ERP integration. Learn more about CRM and ERP integrations by checking out our video demo. When you are still a nascent business, it can often seem easy to keep track of everything you have on your plate. You may be using spreadsheets to store and analyze financials, tracking clients though a collection of notebooks and email folders and hoping all the information gets collected and stored somehow. However, using a rag-tag collection of desktop applications to maintain your business operations just isn’t sustainable. Eventually, you’ll reach a threshold of customers and leads where things will start falling through the cracks. Don't invite error into your business processes by simply assuming that your current method of data tracking and analysis is sustainable—integrate your software before it becomes a problem and you start losing clients. The compartmentalization of a business that can occur when there is no ERP and CRM integration for manufacturing data is a significant barrier to growth and an invitation for errors and missteps in your day-to-day business. It will often result in double entries of data that will get magnified as they pass through different applications. Multiple sales people may follow up with a potential lead, an annoyance to your lead and not a good look for your professionalism. With an ERP and CRM integration for manufacturing systems you’ll find your front and back offices communicate better than ever. With collaboration, your entire organization will be poised to attract leads and fulfill business tasks together, rather than just hoping the other side of the equation gets its job done. Efficiency is the quickest way to impress customers old and new. If you’re running both pieces of enterprise software already, it just doesn’t make sense from an efficiency and time perspective to not connect them. There’s the time spent on entering quotes, orders and ship-tos into both systems separately. Plus, there's the potential of human error, resulting in orders sent to the wrong customers and other costly mistakes. With an integration platform syncing these kinds of fields automatically (and on a schedule that you determine), you can take human error out of the equation and free up that time for other mission-critical tasks. While inaccurate orders or wrong shipping data can annoy customers and quickly accumulate when you don’t have an ERP and CRM communicating, it’s even more embarrassing when you find that you simply can’t fulfill orders at all. This can be all too likely to happen when there’s a lack of communication between the front and back offices in a business. Imagine a sales person is at an on-site visit with a potential client, impresses with the sales pitch and makes a blockbuster sale. However, when they return to your office, they come to find that all your lines are busy for the next few weeks and there’s no product in stock. That will be money and customer trust lost that could have been easily avoided if the sales person had easy access to your inventory and manufacturing data. CRM and ERP integration can eradicate these kinds of errors and help you carve out a strategy to leverage data to grow your business. Demand planning and inventory strategy is a key to unlock aggressive new growth and potential for innovation within your business. If you’re just jumping between enterprise applications and trying to hold all of your data together by a thread, eventually that thread will be stretched too thin and break. Your sales people will see growth in a certain aspect of your business and regression in others, but your manufacturing team won’t be able to see or plan for these fluctuations. The result of that strategy will just be your team manufacturing to order without strategizing new ways to support and automate output growth. Plain and simple—if you don’t have crucial business data being synced daily between your CRM and ERP, it won’t be noted and it can’t be capitalized on. Too many businesses think that an ERP and CRM integration for manufacturing operations isn’t necessary or worth the cost of the project—but they couldn’t be more wrong. Aside from removing the labor involved in dual data entry or the uncertainty that can come with having a technical barrier between your front and back offices, an integration project can light a match that fuels aggressive new growth and innovation in your business. For more on the benefits of CRM and ERP integration for manufacturing success, go here to learn about Unity, Datix’s landmark integration platform built to easily and flexibly integrate Epicor with your CRM software—with no specialized coding or technical knowledge required on your end. Datix is an Epicor Platinum Partner renowned for integrations. Our expert consultants have completed numerous projects just like yours—whether your software is hosted on-site or in the cloud. Get in touch with us today to set up a consultation for your business!